The USC School of Dramatic Arts produced more than 20 shows in 2014-2015, including classics like Chekhov's "The Seagull" and modern tales like Sara Kane's "4.48 Psychosis." Here Kimberli Flores (MFA) and Alejandro Buceta Parrón (MFA) portray a pair of doomed lovers in "Blood Match." Photo by Craig Schwartz. One of the premier dramatic arts schools in the United States, the USC School of Dramatic Arts provides the necessary education and training for graduates to excel in the professional arts. The school promotes and supports innovative and flexible ways to achieve students' educational and professional goals. The dramatic arts are both a collaborative endeavor and a universal means of communication. The school educates students in the history of theatre, while preparing them to add to that history, to use their talents, skill and imagination to explore the limitless possibilities the dramatic arts offer. The USC School of Dramatic Arts is significantly enhanced by its location in Los Angeles, the entertainment capital of the world. Visiting guest artists frequently teach seminars, mentor students and participate in School of Dramatic Arts productions. Graduates of the school work professionally in all aspects of the entertainment industry. The school's faculty are dynamic teachers who are also artists working at the highest level of their profession. The breadth of learning opportunities offered at the school prepares students for the spectrum of careers in the dramatic arts, including performance, production, design, sound design, management and teaching. The School of Dramatic Arts also strives to instill confidence, integrity, excellence and artistic sensitivity into each of its students — traits that are essential to success in any field. 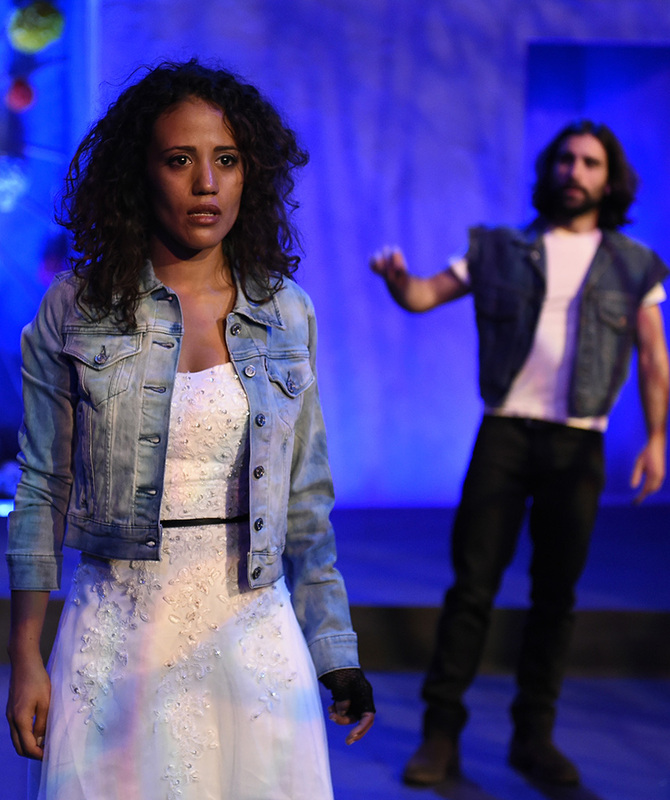 The School of Dramatic Arts offers professional and academic degrees at the Bachelor and Master of Fine Arts levels as well as a Master of Arts in Applied Theatre Arts. USC offers two degree programs to undergraduate students interested in the study of theatre arts. The professional degree programs, the Bachelor of Fine Arts (BFA) in Acting, Design/Technical Direction, Sound Design, and Stage Management, offer a conservatory approach to training for students committed to pursuing careers in the professional theatre, film and television industries. The Bachelor of Arts degree program (BA) incorporates a broad, general education in addition to a thorough study of drama. The Bachelor of Arts in Visual and Performing Arts Studies provides students with a broad understanding of the various disciplines. The School of Dramatic Arts also offers minor programs in applied theatre arts, theatre, musical theatre, performing arts studies and playwriting. The Bachelor of Arts (BA) degree is ideal for students who want a broad education in addition to production and performance experience. The degree is offered in cooperation with the USC Dornsife College of Letters, Arts and Sciences. Acting: The BFA acting degree is a four-year professional training program with opportunities for performances beginning with the sophomore year. The program comprises an integrated sequence of training in acting, voice and body movement, based on the belief that an actor's emotional and imaginative abilities cannot be released without control over vocal and physical resources. This training is combined with course work in critical and historical studies, stagecraft, technical theatre, scenic design, costume and lighting. An audition is required for admission. The BFA acting program is highly competitive. Design/Technical Direction: The BFA program in design/technical production offers two areas of study: design — incorporating study in scenic, lighting and costume design; and technical production — incorporating the study of theatrical design with training in the professional skills needed to execute stage designs. An interview is required for admission. Sound Design: The BFA program in sound design offers the student a combination of technical, management and design training in sound design. The student is also introduced to sound recording and mixing through a series of courses offered by the USC Thornton School of Music. Students begin using this training as early as the second semester of the second year of enrollment. The skills acquired in the classroom are further explored through sound design assignments on School of Dramatic Arts public productions in each subsequent semester of the student's program. Students in the sound design program build and design the sound component for the majority of the School of Dramatic Arts' productions under the supervision of a professional staff of designers and theatre technicians. An interview is required for admission. Stage Management: The BFA program in stage management offers the student a combination of technical, management and design training. Students begin using this training as early as the first year of enrollment. The skills acquired in the classroom are further explored through stage management assignments in each year of the student's program. An interview is required for admission. Students in the design/technical production and stage management programs design, build and stage manage the majority of the School of Dramatic Arts' productions under the supervision of a professional staff of designers and theatre technicians. The Bachelor of Arts in Visual and Performing Arts Studies is an interdisciplinary degree offered jointly by the School of Dramatic Arts, the School of Architecture, the School of Cinematic Arts, the Roski School of Art and Design, the Thornton School of Music, and the Dornsife College of Letters, Arts and Sciences. Theatre This general minor in theatre invites students to explore the many facets of this exciting field. Students have the opportunity to take a variety of classes in acting, applied theatre arts, applied theatre arts/education, playwriting, literature, stage management, directing, costume design and production. The curriculum is very flexible and encourages students to develop a primary interest for upper-division course work. All minor students are eligible to participate in performance and production projects. Applied Theatre Arts The minor in applied theatre arts addresses the theory and practice of applying theatre arts in non-traditional settings with emphases that include education, therapy and social change. Comedy The minor in comedy (performance) is a 20-unit minor that focuses on the theory and practice of comedy-making from the performer's perspective. Beginning with a foundation in the history of comic performance, and supplemented by courses in the fundamentals of acting and performance, the progression of the minor offers students a comprehensive theoretical and experiential education in the many differing disciplines of comedy. Musical Theatre The minor in musical theatre, interdisciplinary in nature, is a 27-unit program incorporating the study of acting, dance or movement, vocal arts and related musical subjects presented in association with the Thornton School of Music. Performing Arts Studies The minor in performing arts provides an interdisciplinary inquiry into the nature and aesthetics of the performing arts. It combines the disciplines of cinematic arts, dance, music and theatre. The minor is a unique course of study that looks at how the performing arts contribute to a culturally literate society. Playwriting The minor in playwriting presents undergraduate students who are not theatre majors with a concentration in the discipline of playwriting as a means for broadening and deepening expression using the literary and performing arts. This minor offers a foundation for extended expression in dramatic writing and creative writing genres in general. The Master of Fine Arts with a major in theatre requires 48–64 units of course work at the 400 or 500 level. The areas of emphasis include acting, theatrical design, dramatic writing and directing. These programs provide a high level of practical experience. To ensure this, the number of students accepted in each area of emphasis is strictly limited. An interview is required for admission. The Master of Arts in Applied Theatre Arts explores the intersection of theatre arts and cultural fieldwork, encompassing the fields of theatre and therapy, theatre in education and theatre for social change/community-based theatre. Practitioners of applied theatre arts supplement their work as classroom teachers, therapists, social workers, case managers, community organizers and social activists. Admission to the various degree programs is granted through the university's regular admission procedures in conjunction with the School of Dramatic Arts supplementary application procedure. See the Admission section of this catalogue, Undergraduate and Graduate. Admission to the BA program is determined by academic record, experience in theatre, and information required on the USC application for admission and the School of Dramatic Arts supplementary application. Students applying for the BA program must contact the School of Dramatic Arts directly to obtain the supplementary application. In addition to submitting a USC application for admission, a dramatic arts supplementary application and an inperson audition are required for the BFA and MFA programs. Auditions are held during January and February. Applicants should contact the School of Dramatic Arts directly to obtain supplementary application materials and to arrange for their audition. The acting audition requires two monologues: one contemporary and one classical (preferably verse). Auditions and interviews for all programs are held in major cities around the country including Los Angeles, Chicago and New York. Students wishing to transfer from a community college or another four-year college or university into the Bachelor of Fine Arts curriculum must present training equivalent to their level of transfer or be prepared to take remedial work in acting, voice, movement, dramatic literature and stagecraft. Admission to the BFA and MFA Design/Technical Direction, Stage Management and Sound Design programs is based on a personal interview and/or review of a portfolio. In addition, the student must submit a USC application for admission and a dramatic arts supplementary application. Applicants for the design programs must present a portfolio of their work at the time of their interview with the design faculty. Interviews are held beginning in January for the following fall semester. Admission to full graduate standing will be granted after the satisfactory completion of one semester. A satisfactory test score on the Graduate Record Examinations and a satisfactory grade point average are also required. Application materials and details about audition dates and locations may be obtained from the Office of Admissions and Recruitment, School of Dramatic Arts, University of Southern California, Los Angeles, CA 90089-0791, (213) 740-1286. In conjunction with Sarah Lawrence College and the British American Drama Academy, USC students have the opportunity to study theatre in London. For additional information, see International Study Options . The minor in musical theatre, interdisciplinary in nature, is a 27-unit program incorporating the study of acting, dance or movement, vocal arts and related musical subjects. Admission to the minor requires an audition for music but not for theatre. See the USC Thornton School of Music for requirements.